Blog Like A Boss (the beginners next-level guide to blogging on any platform) has officially been added to the Amazon Kindle store, and is ready for immediate download! 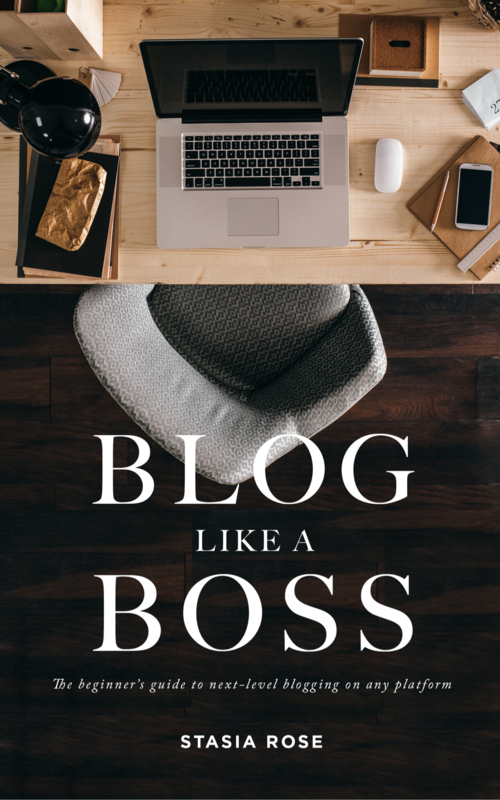 Blog Like A Boss (the beginners guide to next-level blogging on any platform) was 100% written with you in mind. I wanted to share everything I had learned thus far in my blogging career, and incorporate those lessons into a short and easy to read 30 page digital resource guide for beginners looking to do the same! It's the best $7.99 you will ever spend in the Kindle store! If you do choose to give it a read, please please please leave a review! Your review will help spread the word so that other beginners will have the tools to Blog Like A Boss! What a blessing it is to have completed this massive feat, and an even bigger blessing to have people like you supporting me every step of the way! Huge shout out to Daniel Barcelo for expertly designing this stunning book cover.